Does your space feel a little bit like vanilla ice cream? It’s fine, you like the furniture, but it’s nothing special? Maybe you have huge ceilings and large spaces you’re not sure how to fill. 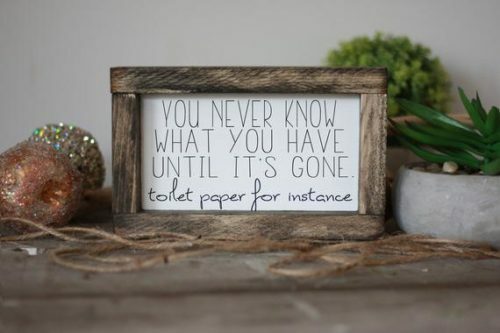 Or you only have two blank walls and how you do decide what to hang when you only have limited space? 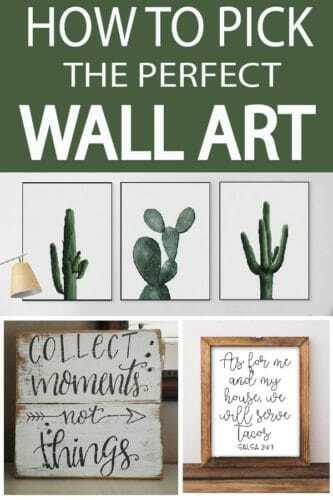 I’m here to help you with the art of wall art. Deciding what to choose, where to put it, and how to hang it is no small feat. There are professionals dedicated to selecting and hanging artwork in homes, and they transform spaces with a single piece. 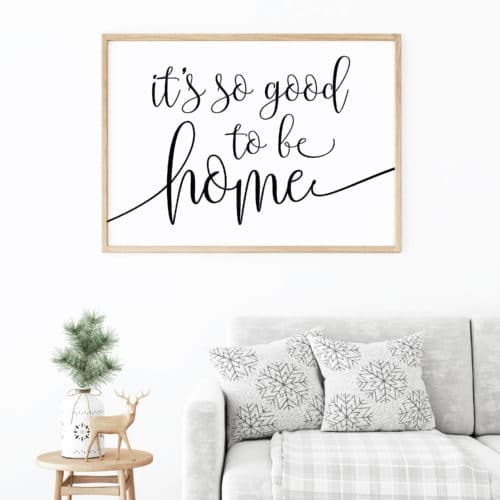 The good news is, you don’t a professional to pick your own wall art. 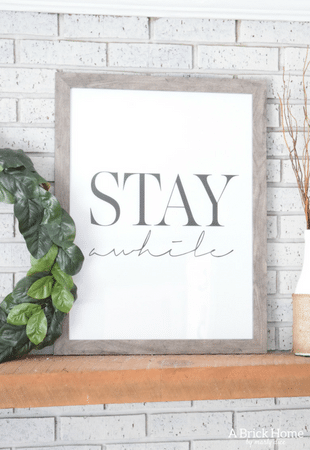 Using these tips and tricks you can select the perfect wall art for your space, hang it confidently, and love it every single day. This is usually the easy part. You have that one wall, that specific space, or that hallway you’re just not sure what to do with. Decide just one area at a time to work with. 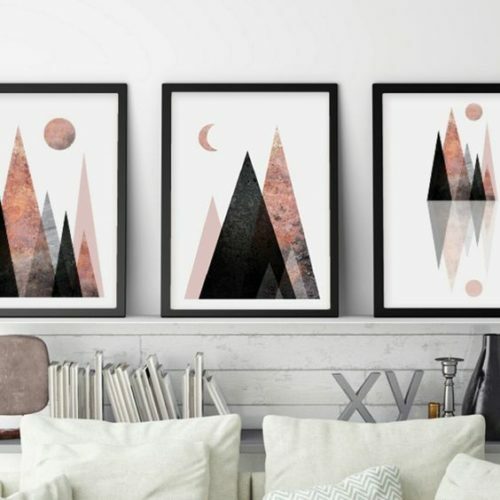 Don’t try to select wall art for your entire home at once. Pick one space and make that space perfect. Then move on to the next. Trying to do the whole house at once can create a gallery-like feel in your home with too much art in too many places. Next, measure the width of your wall. This will give you an idea of how big your art pieces should be. Depending on the wall, and the surrounding furniture, you should choose art that looks like it belongs, not like an afterthought. 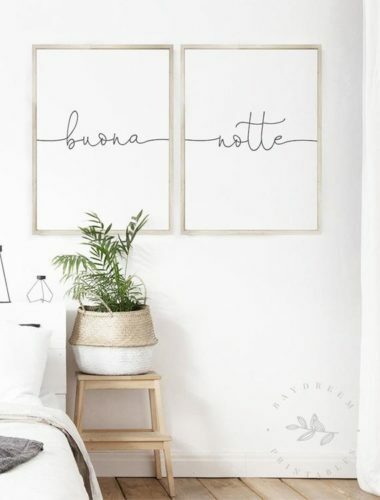 If you have a small wall, a good rule of thumb is to choose one pieces of wall art that takes up the width of the wall, minus 6-12 inches on each side, so it looks like it’s centered. For example, you have a 36-inch wall. Leave about 6 inches on each side of the piece of art, which means you should choose something around 24 inches wide. Large wall art can be very expensive or hard to get into your space. It also can be overwhelming to choose a gigantic portrait that you love enough to invest in. If you have a large space to fill, choose two or three smaller pieces that can be laid in a sequence. This gives the illusion of a larger art piece, and still provide cohesion to the space without the price or commitment of a giant painting. Be sure to leave at least 2 inches between the pieces. You can do bigger spacing if you have a huge wall, just keep it consistent. If the wall has You want your art to be either the same length as the furniture piece in front of it, or smaller. Center the art exactly over the furniture piece, even if the furniture is not centered on the wall. When you’re creating a focal point, you want to focus on the cohesion between art and furniture, the wall is simply the background. Never use wall decor that is wider than the furniture piece below it. 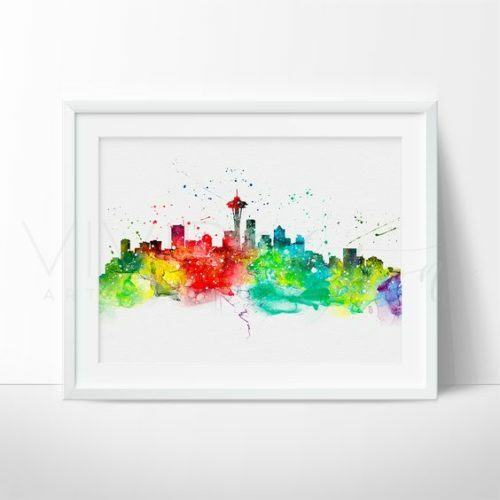 Sometimes tall walls are best-left blank, but if you have a large two-story home, and you don’t want a lot of blank walls, think of vertical art. Going vertical draws the eye up and emphasizes your beautiful home rather than creating a barrier and breaking up the wall. 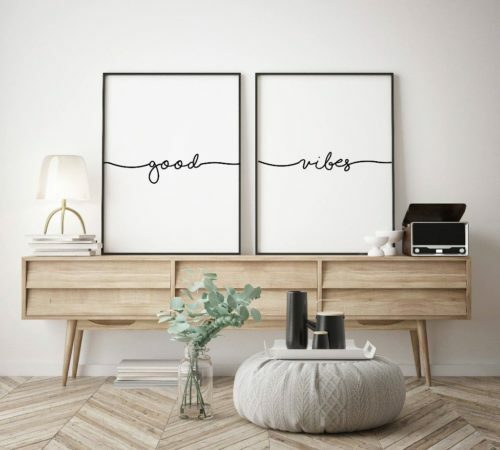 Art quotes are a huge trend in homes, and for good reason. 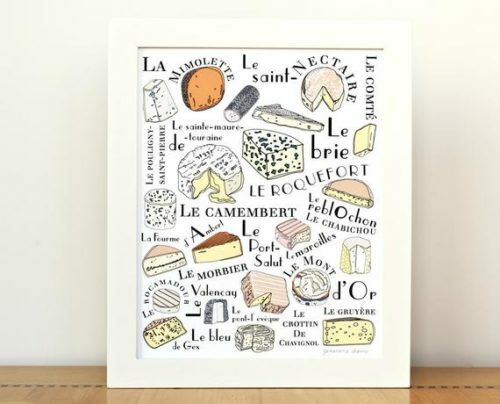 They are simple, easy to print on your own and frame without breaking the budget. Picking the right quote can say a lot about what is important to you and your family. It’s a great way to add personality and depth to your home. They can also morph to any style of home. You can use different styles of fonts, colors, and frames to make it match your style. 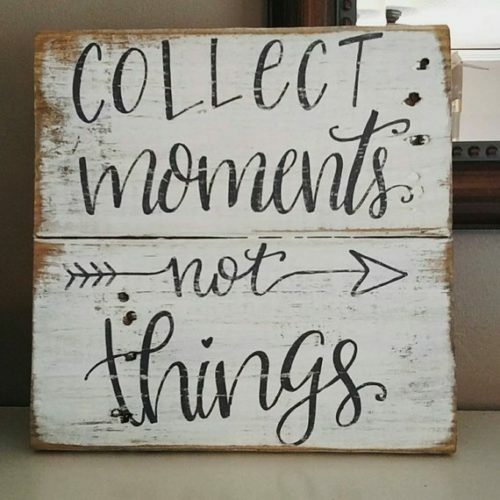 If you have multiple areas for art in your home, don’t choose a quote for every space. You don’t want your home will look like a quote book. 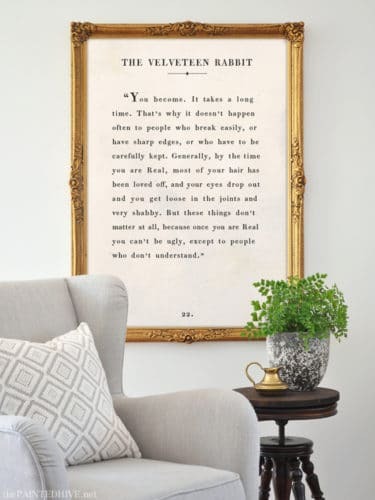 Choose only the quotes you absolutely love and turn them into art. Then look into other areas of your personality or interests to choose a variety of artwork that speaks to you. 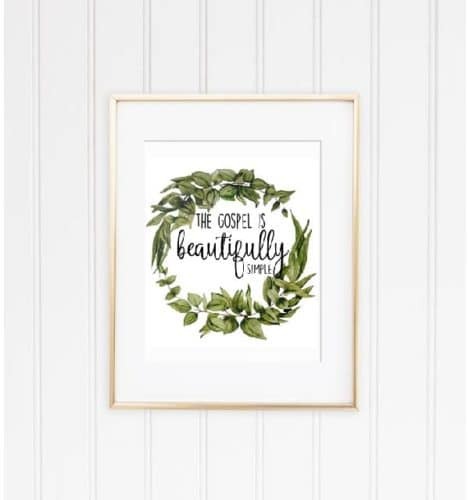 If you love the look of watercolor, go visit my sister site: paintedprintables.com where you can download various watercolor images with quotes from scripture and latter-day prophets all for free! Choosing black and white artwork makes it easy to change artwork from room to room or house to house if you tend to move frequently. It’s versatile and simple without calling a lot of attention. If you are filling an especially large space, using art with plenty of white space can help make the room fill large and open, without feeling empty. 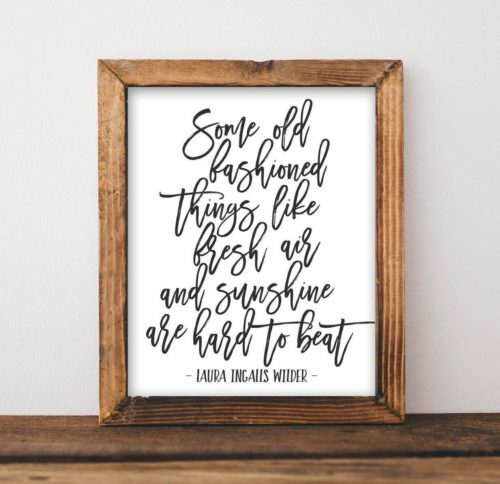 Not all wall art quotes have to be inspirational, lovely, or PG rated. If you have a little sass and like things a little off center, go for something that fits your personality. 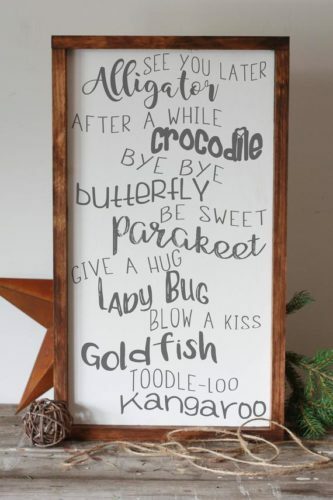 Even funny and off-collar jokes can make beautiful wall art. It’s even better when it fits your personality so well and sparks a smile when friends and family visit. The farmhouse black and white style is very trendy, but that doesn’t mean you have to abandon color completely. Some of the best wall art is full of bright and bold colors. Again, it should suit your personality and the look of the home. If you have a lot of color in your furniture and accessories, simply artwork might look best. If your home and furniture is neutral, go for a pop of color on the wall. Regardless of how tall your walls are, the middle of your portrait should sit at eye level. 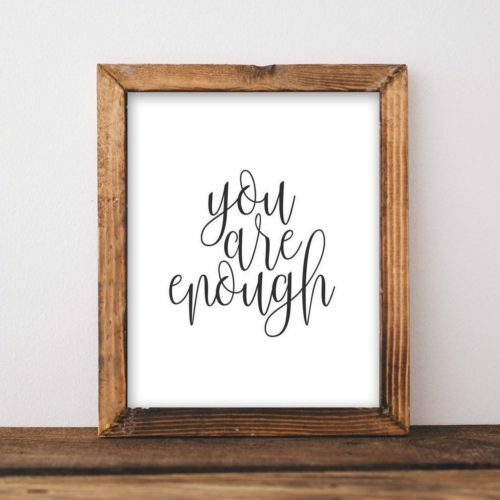 It can go higher (if you have high ceilings) or stay narrow (for a small space), but the center of the portrait or art gallery should be about 60” off the ground.If you’re hanging art above a sofa or table, place the artwork so the bottom edge is 6-8 inches from the top of the furniture. 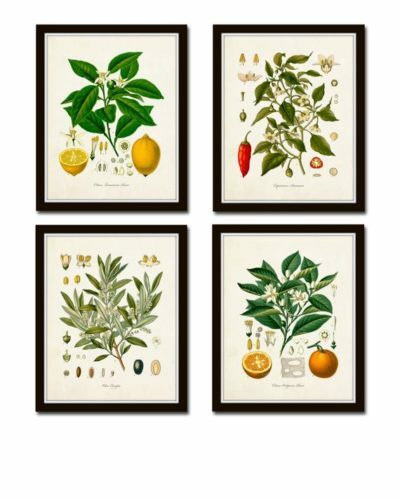 There are many ways you can hang wall art and, depending on the weight of the art. Always use proper tools and supplies to ensure your art hangs straight and beautiful. 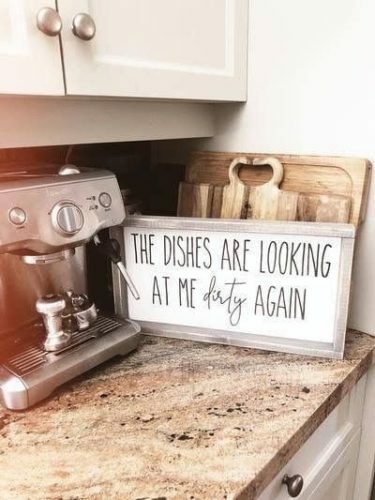 Wall decor comes in all shapes and sizes. There’s traditional framed art, wall murals, lightweight and unframed canvases, object collages, metal wall sculptures and more. Think outside the box to fill your home with art that speaks to your soul and creates a beautiful environment for you to enjoy.